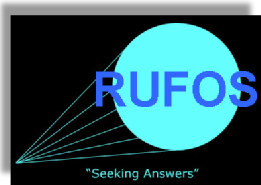 Come visit us at one of our Roundtown UFO Society meetings on the 2nd Thursday of each month presently at the Pickaway County Public Library in Circleville and start at 6:30 pm. There is usually a sign indicating where the meeting is. Linda Sigman of southern Ohio was with us March 9th at our meeting at the Pickaway County District Public Library. She shared her story of seeing UFOs that came very close to the car she and her boyfriend were in and soon after seeing what appeared very similar to Mothman flying near them. Her story dates back to the spring of 1967 and was in the time-frame when other people in the Point Pleasant area were seeing and reporting other similar winged-type creatures. It was a very interesting story and meeting. We are in the process of creating an online form to gather information pertinent to each sighting or experience. Until we have these forms completed, please use the following email address to tell us what you’ve experienced. Copy and paste the email address above into the address block of your email. Let us know what day, the time of your sighting, where it took place and what it looked like and we’ll get back in touch with you if you wish. Just leave us your contact information.